As seniors become older, adult children can become their greatest allies or adversaries; often without even realize they’re doing so. As wrinkles and stubborn ways make themselves at home as the new “norm,” some adult children find themselves feeling obligated to ensure that Mom and Dad are safe, while others turn a blind eye. Or, as we’ll find in this story, siblings may find themselves at odds as to what the “right” choice is, leaving the seniors in question more filled with anxiety than ever before. Last year, John moved to Utah to be near his parents – now both in their early 90’s – after John’s father, Zack, suffered a major heart attack. After a year of recovery, Zack and his wife Sadie, are living comfortably at home. Though they don’t like to cook so much anymore, and Zack sometimes forgets to take his daily medications, they enjoy living in their own home where they feed the birds and rock in their chairs. Recently, John has decided that he no longer wants to stay in Utah and is planning to move elsewhere. However, he does not feel that his parents should be living alone with no family nearby. Thus, he decided that an assisted living facility would be the perfect option for his parents and arranged tours of local facilities; much to the dismay of his brother living in California who offered the idea of hiring a home care company with a homecare software or homecare system to check on the couple on a regular weekly schedule. While both John and his brother have viable ideas for senior care options, no one is really sure what Zack and Sadie want. Determining what a senior wants to do in terms of aging safely and contently requires that their adult children, and other caretakers or influential figures in their lives sit down and truly listed to what the senior wants. To begin, personal opinions must be put aside while seniors express whether they’d like to stay at home, move to a smaller apartment, or look into an assisted living facility. After seniors have expressed their sincere opinions, it is reasonable for caregivers to present them with concerns regarding health, or driving. However, opinions should be expressed in a neutral, non-defensive tone to avoid seniors making feel as though their desires are not important. After adult children know what their parents desires are for living arrangements in their golden years, it is time to start to consider the options. Many home care agencies provide real-time task monitoring via home care software or a home care system at a lesser cost than assisted living. Conversely, assisted living facilities can offer help on a 24/7 basis, whereas in home caregivers may work on a limited schedule. If seniors are unsure of the best choice, arrange tours at local assisted living facilities, and in-home assessments from local home care agencies. 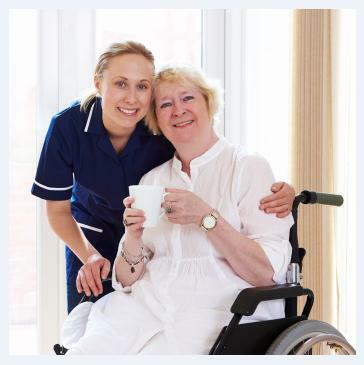 Ask about the availability of monitoring care via home care software or home care systems, such as ClearCare, as well as their recommendations for caregiver hours based on your specific situation. Talk to assisted living facilities about how medications are handled, mealtimes, activities and how you can monitor the wellbeing of your loved one from afar. Making the choice of where elderly parents will live with, or without, a loved one nearby can be difficult. However, in the end, family needs to sit down together, keeping parents who are mentally capable of doing so in the loop, and determining what’s best for their overall, long-term wellbeing. Whether Zack and Sadie end up in an assisted living facility, or work with a home care agency that allows their sons to monitor their status in their home with a home care software or home care system should be a win-win for everyone; not just the brothers. Has your family struggled with helping seniors make the choice between assisted living and in-home care? If so, leave a comment and share your experience.